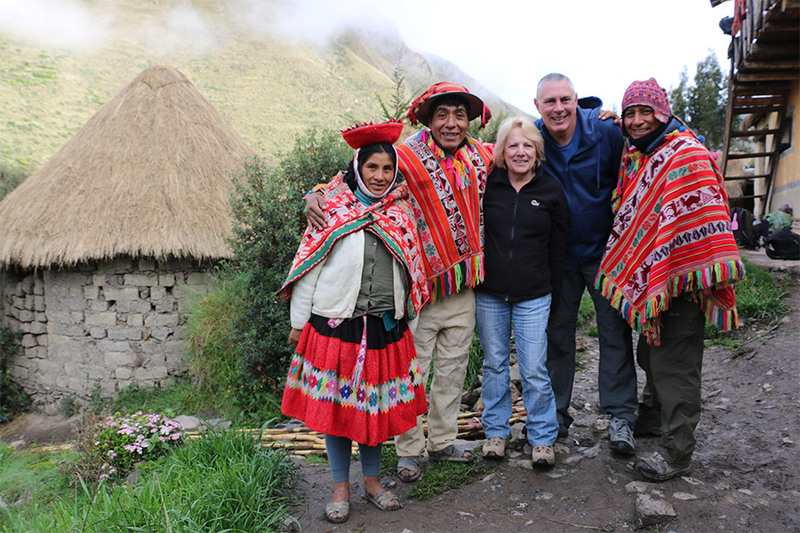 Our Lares trek with homestays is an unforgettable, active experience in the remote Andes. 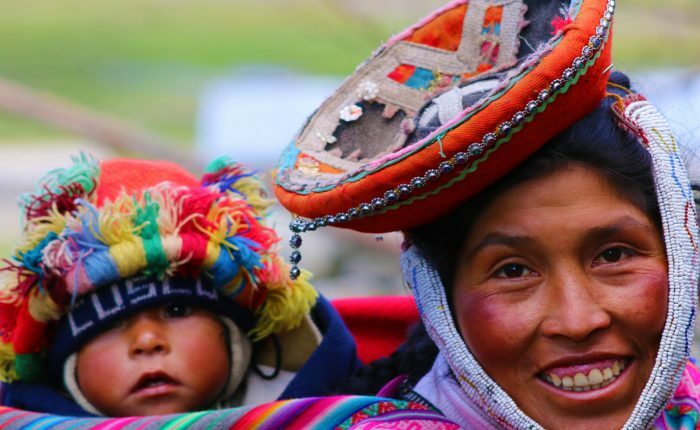 The route passes through lovely, high altitude land, dotted with grazing alpacas and tiny traditional villages and a background of snow capped peaks. 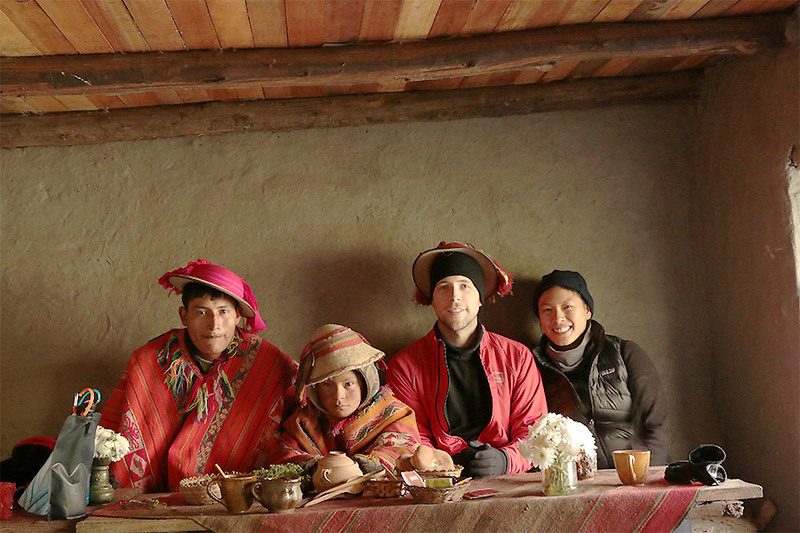 Instead of camping, we spend each night with a local family along the route for a taste of life in the high Andes. Our trek culminates with a final day at Machu Picchu, which is always an unforgettable experience. You can read a first-hand account about this amazing experience here. 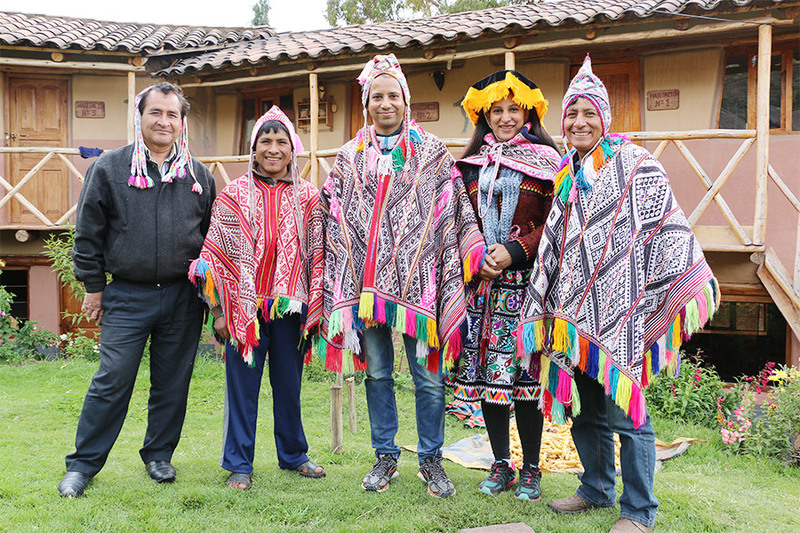 As with all Ayni Peru travel, our Lares trek with homestays can be customized and combined with tours in Cusco and beyond. 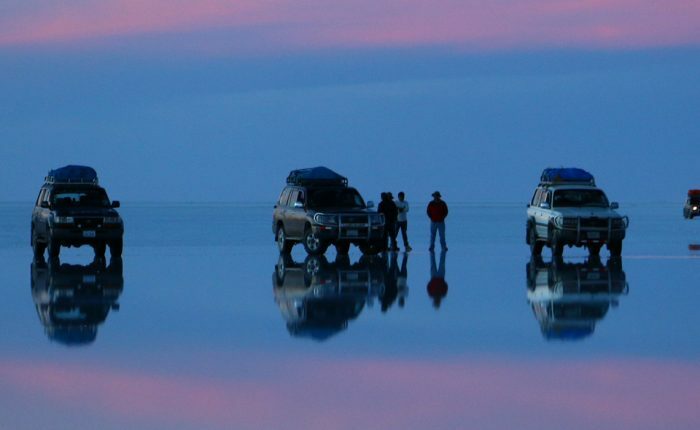 Please contact us for custom itineraries, quotes and with questions. Cusco-Patacancha : We will pick you up from your Cusco hotel in the morning for travel to the Sacred Valley town of Ollantaytambo (1.5 hrs). 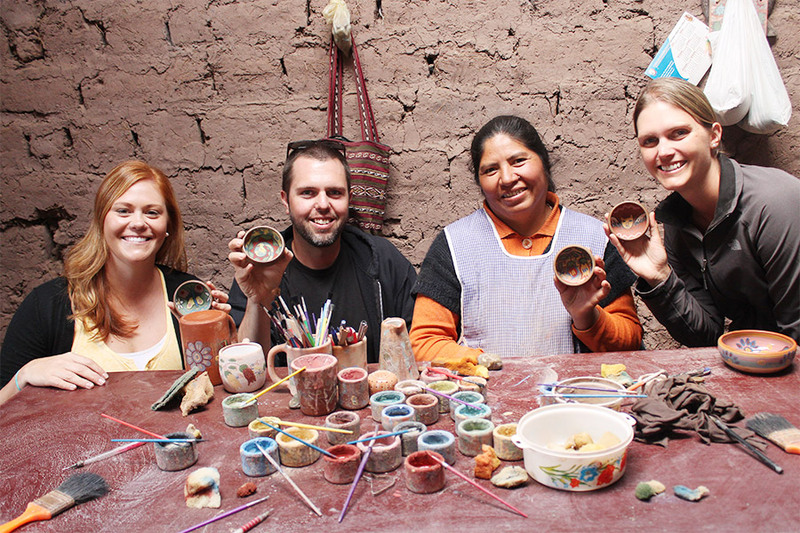 We`ll purchase small gifts for our host families at the Ollantaytambo market, then set out on foot up an original Inca trail to the Pumamarca ruins. Enjoy a picnic lunch at the scenic ruins, then continue to the village of Patacancha to meet your host family for night. We`ll spend the evening with our family, learning a little about their lives and helping to prepare a traditional dinner. Patacanca-Chuallacocha : After breakfast we say goodbye to our hosts, and set out toward the remote community of Chuallachocha. The hike today passes through increasing high altitude land, with grazing alpacas appearing with greater frequency as we climb. 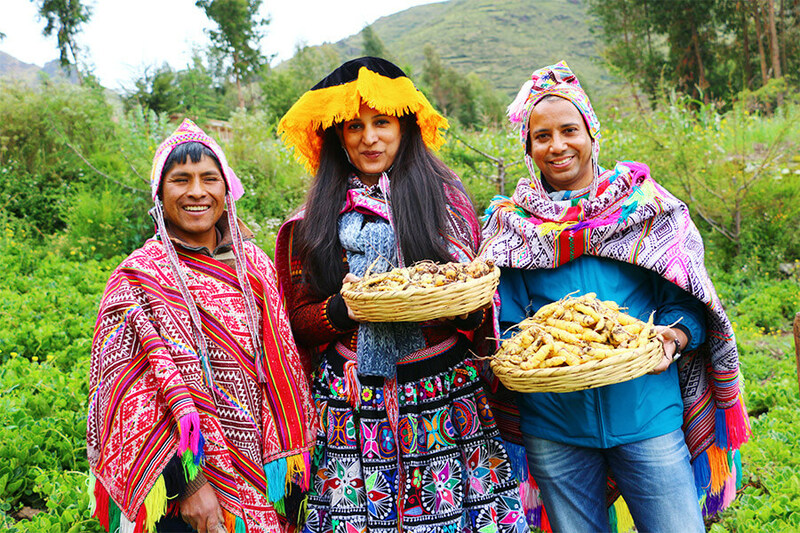 We`ll arrive in tiny Chuallachocha in time for a later lunch and spend the afternoon learning about traditional weaving and farming practices with locals. If school is in session, it may be possible to visit the local elementary school as well. Chuallacocha-Aguas Calientes : After breakfast we continue hiking toward Colquepata Pass for beautiful panoramic views of surrounding snowcapped peaks and surrounding valleys. From there, descend to the village of Huacahuasi, where our van will be waiting for travel to the train station for a scenic ride to Aguas Calientes. 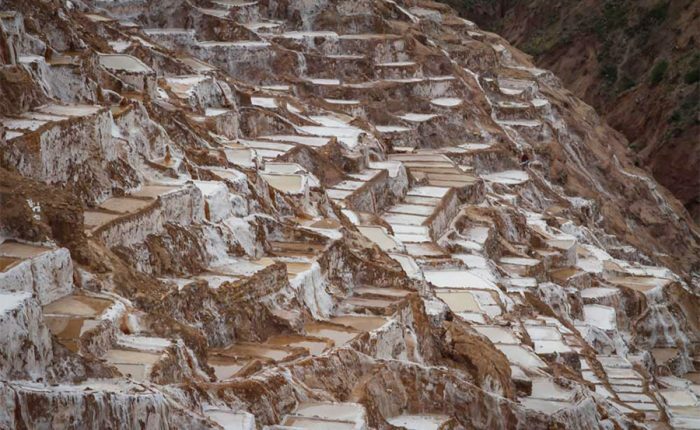 You`ll have the evening to enjoy local hotsprings and rest up for Machu Picchu the following morning! Machu Picchu Tour : Explore Machu Picchu! We`ll visit famous highlights, plus lesser-known (but equally fabulous) spots. We`ll return by train, arriving in Cusco in the evening. Horses and/or llamas to carry equipment, supplies, & your personal items. Two night´s accomodation with host families. Entry to Machu Picchu with guided tour and roundtrip bus tickets return train and transfer to your Cusco hotel. Huayna Picchu or Machu Picchu Mountain entry can be added for an additional $25.00 USD per person, based on availability. If you’re looking for a remote trek in the Peruvian Andes out 4 day/3 night Lares trek with homestays is the perfect option! 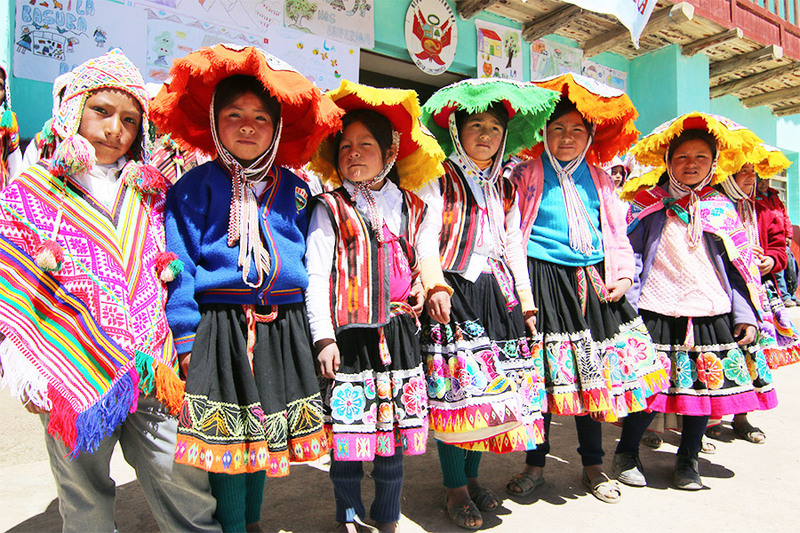 This wonderfully scenic trek provides the opportunity to gain a unique perspective on life in traditional Andean communities. Each night it spent in small, rural communities with a host family. 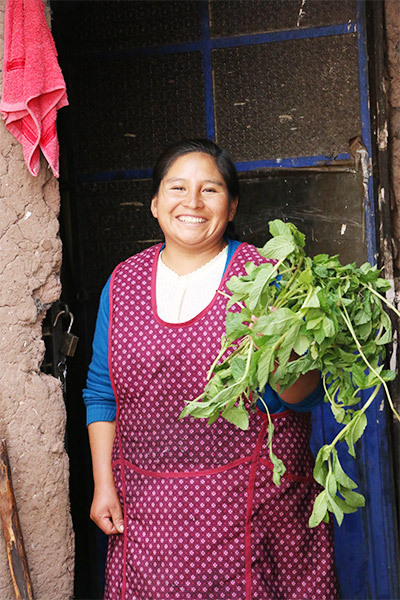 Enjoy home cooked meals, learn about their lives and livelihoods, and form lasting friendships. After an active and adventurous 3 days, the experience culminates in a visit to spectacular Machu Picchu. 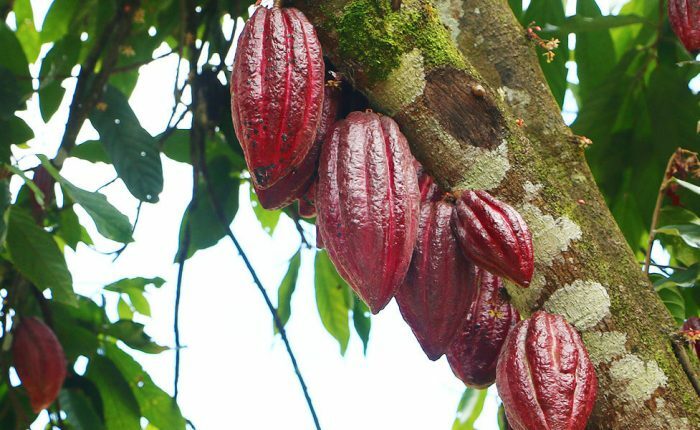 Traditional Agriculture: Learn about and participate in subsistence agriculture. Depending on season crops include potatoes, lisas, occa, corn and more. Medicinal Plants: A variety of plants found or grown in the area are regularly harvested for use in infusions. Find about about their uses, pick your own fresh herbs with your host family, and brew your own fresh tea. Llama & Alpaca Shepherding: The majority of families in higher altitude communities raise these animals. During the day, llamas and alpacas generally roam free and graze, then stay in stone-walled pens in the night. Spend time with these adorable animals and help with their care! 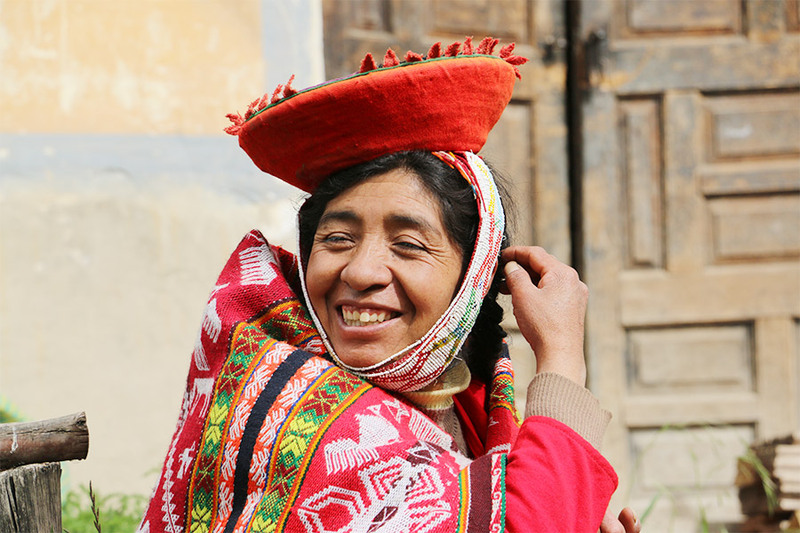 Traditional Weaving: The Andes are home to incredible weaving traditions, and our host communities are no exception. Learn about spinning, dying and weaving technique on a handmade loom. 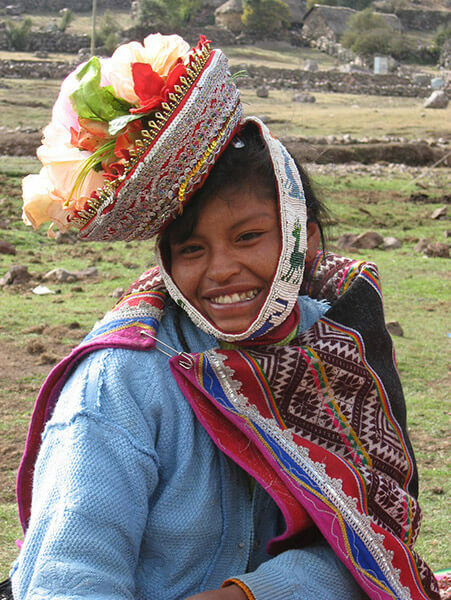 Your Lares trek with Homestays begins with pickup from your hotel in Cusco. From there, set out across the beautiful Sacred Valley toward the town of Ollantaytambo. 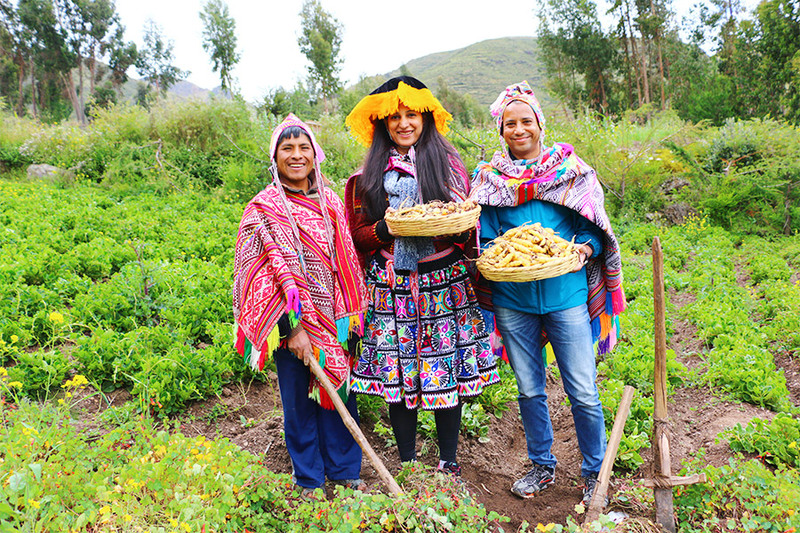 We´ll stop at a local market to purchase small gifts of fruit and coca leaves for our host families, then set out on foot for the village of Patacancha. The hike today consists of a moderate ascent up a beautiful, lush valley. Arrive at your host family´s home for a freshly prepared lunch using local ingredients, then spend the afternoon enjoying the activity of your choice. After breakfast the following morning, we´ll say goodbye to our host families and begin the hike to the remote village of Chuallacocha. As we climb higher, the air cools and heards of grazing llamas and alpacas begin to appear. Stunning snowcapped peaks come into view, and we pass a cluster of small lakes that Chuallacocha is named for in Quechua. 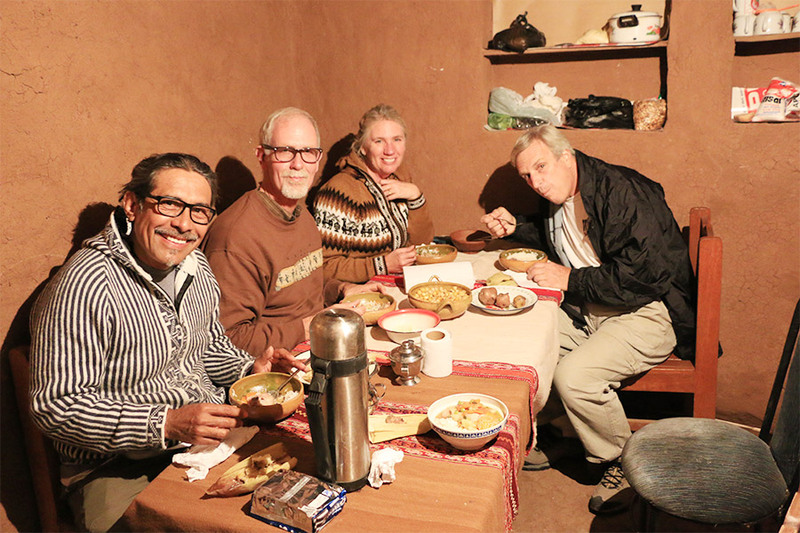 In Chuallacocha, you will relax enjoy lunch with your new host family. The remainder of the afternoon is open for an activity, or just enjoying the tranquil atmosphere on your own. On the final morning of trekking, say goodbye to your new friends in Chuallacocha as you set out on perhaps the most beautiful leg of the hike. Early on the morning of day four, depart for Machu Picchu! Your private guide will lead you through the site´s most famous highlights, such as Temple of the Three Windows, the Temple of the Condor, the Intihuatana stone, and much more, learning about their significance all along the way. 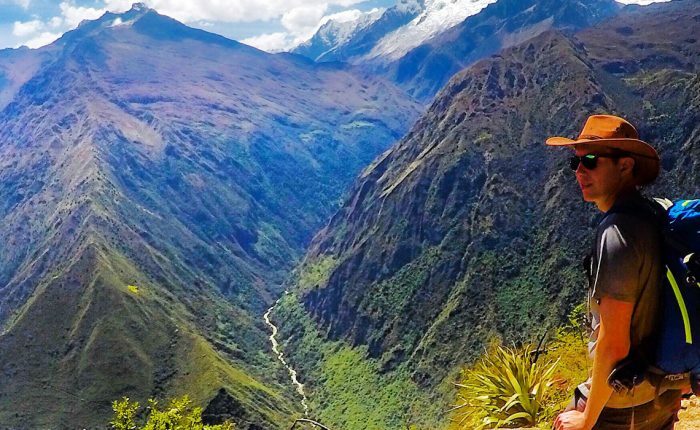 For an extra adventure, climb up either Huayna Picchu or Machu Picchu Mountaña for incredible views of the ruins, surrounding mountains, and the Urubamba River rushing below. After a day of exploring and taking in all that Machu Picchu has to offer, say goodbye to the magnificent ruins and return to Cusco for a good night´s rest. 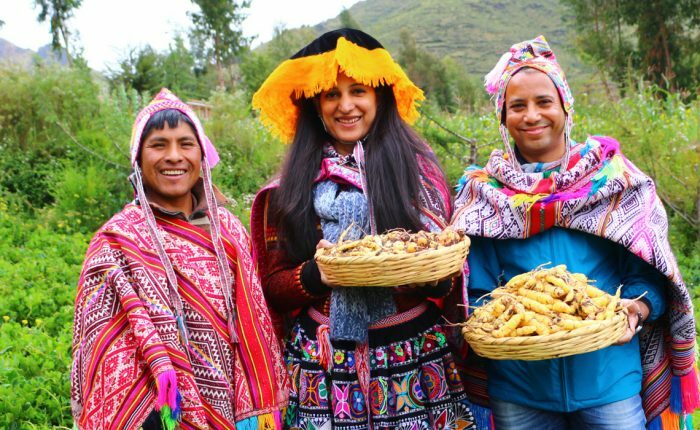 With these four days exploring, you will have gained a unique understanding of life and culture in the high Andes. Your journey will certainly be unforgettable!